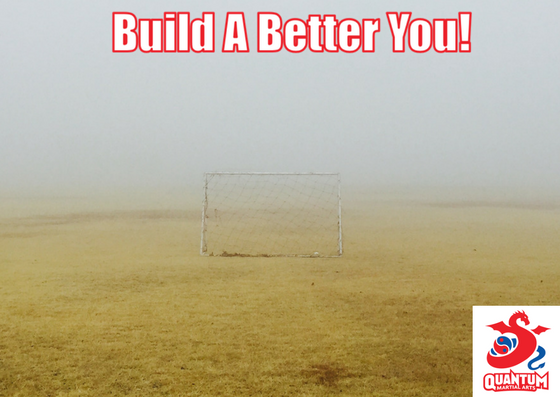 2018 – The Year Of "Building A Better You"
It is almost the end of 2017 and the beginning of 2018. Between now and then, we have the Christmas and New Year’s break, where we get a chance to cherish the important things in life, such as family, friends, and time away from the work / school hustle-and-bustle. Personally, I always use this time of the year for self-reflection. Unfortunately, it is too easy to lose sight of what is really important in life. We often tend to live somebody else’s truth rather than our own, whether it be our employer, life, or whatever. It is good to use these small breaks to re-energise and set “aims” for what you want to achieve for the upcoming year (making sure it aligns to what is really important in life). In saying this, while it is always good to look forwards, do you also look backward to see what you have achieved over the past year? Too often when you keeping chasing goals, you can often forget to congratulate yourself on achieving good things in your (and your family’s) life. Alternatively, if you did not achieve your goals for the last year, were they really important to you in the first place? If they were not, drop them off your list, as there is no point stressing in the future about unrewarding goals. If those goals are still really important to you, what will you do in the upcoming year to make them work? Remember, goals only work if they are tied in to who you really are. In your martial arts classes, we emphasise the mental and emotional lessons together with the physical skills. You know the “talks of the week”, such as awareness, respect, discipline, courtesy, etc. They are all designed to help “Build A Better You”, which is my goal for all of you. A good martial artist will always live a simple, useful and peaceful life, while being of service to others. Hopefully, this will reflect in your 2018 goals. What are your feelings about the last year? This can include family, friends, work, school, martial arts, or anything else that is important to you. Are they good, bad or indifferent? What are some things that you have learned from this year? Pick one thing from each of family, friends, work or school, martial arts, or any other activity you find rewarding? Who are some inspirational people you have met over the year? What can you learn from them? What have been some challenges for you? What can you do to overcome them? What is a personal attribute you have used that has helped others? What obstacles have got in the way this year? We all lead busy lives, but sometimes this busy-ness is not conducive to what we want to achieve. How can you overcome those obstacles? Speaking of service to others, what advice would you give others to help them with their goals? Will you help others with your advice? Life is not perfect. We all would have had some problems over the last year? What did you do to positively overcome them? Did somebody need your encouragement this year? Did you help that person? Alternatively, how could you better help others? Was there a time during the year when there was no pressure and “you could be you”? What did you do during this time? We all have an Achilles heel in life. What is your Achilles heel? How can you stop this issue from constantly frustrating you? Was there anything that you started but did not finish? Can you finish it in this year (assuming it is still important to you)? Is there is anything you would like to try or experience? If you could be skilful at one thing, what would it be? Can you take steps to start getting better at that thing? Who is somebody who can help you with your goals? What was the nicest thing you did for someone else this year? Service to others is important. Can you continue doing these nice things in the future? If I could change one thing that happened this year, what would it be? More importantly, will you take steps to make that change happen in the future? What was hard in the past, but is easier now? What steps did you take to make it easier? Answering these questions may be difficult, as it is hard to self-reflect. However, if the goal is to help “Build A Better You”, be it with family, friends, martial arts, or whatever, you sometimes need to do that hard work. Instead of setting 2018’s goals as losing weight, getting rich, or any other generic goals, why not make 2018 the year of becoming the best person you can be. You will find it rewarding…trust me! In martial arts, we use gradings as a way to set a goal, work towards a goal, and ultimately achieve your goal. This goal is clearly defined. You also have a strong support network around you to help you achieve your aims. This a big reason why I love the whole martial arts community. However, martial arts (or any activity you pursue which helps make you better physically, mentally and emotionally) is just an aspect of life. The goal is help make you better as a person. How can you be a better person if you have not defined what that is, what you need to do to work towards it, or whether you have set in place parameters to know what you achieved that aim? Treat your life like a martial arts grading – set your life goals after answering the questions above, work towards those life goals, and know when you have achieved your life goals. Become a “Black Belt At Life”. If I can help you towards achieving your goals for 2018, please let me know. My aim is to help “Build A Better You” in all areas of your life. If you like this article, please share it with friends or anybody who you feel will benefit.